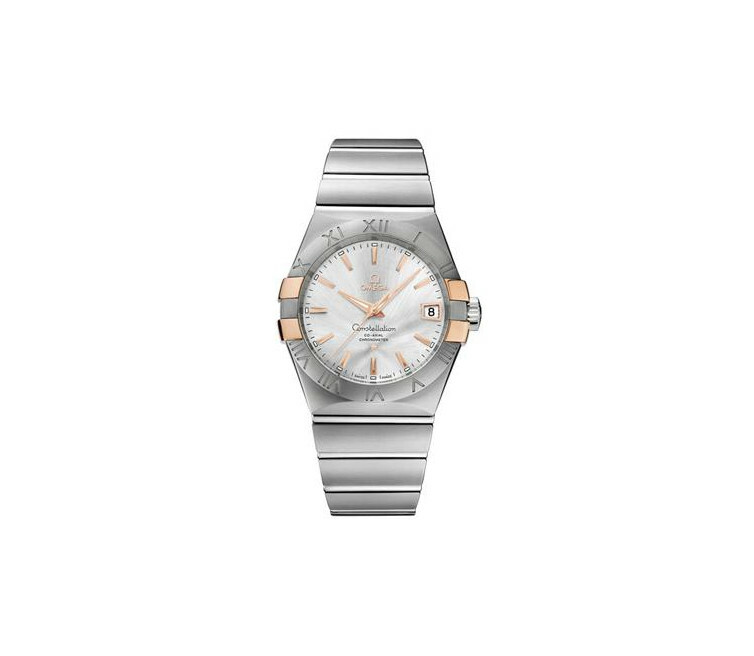 This Constellation 2009 model features a silvery dial with a date window at the 3 o'clock position and a scratch-resistant sapphire crystal. The bezel, with its engraved Roman numerals and 18K red gold claws, is mounted on a 38 mm stainless steel case and is presented on a stainless steel bracelet. 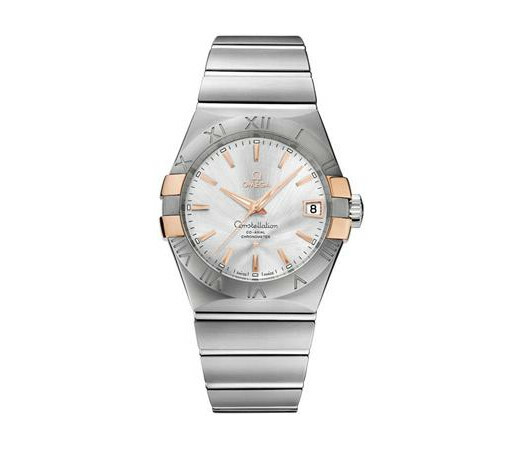 At the heart of this timepiece is the OMEGA Co-Axial calibre 8500, visible through the transparent caseback.